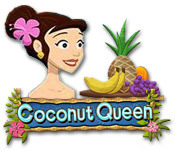 Coconut Queen is rated 4.9 out of 5 by 33. Rated 5 out of 5 by ayame5312 from Fantastic games Got this game more than 5 years ago. I still play and recommend it as one of the best games I have ever gotten here. Very sandbox like as you have total control over where and what to build and destroy, but still have goals to achieve per level. not much in the way of overall goal but still very entertaining as you progress the levels. Rated 5 out of 5 by Jeana_Lowes from Extremely enjoyable Tons of ways to approach this game, even in campaigns. The graphics, characters and story are all cute and even a bit novel. It's one of the most unique approaches to a Sim City style game I've ever seen. Comparable games on Big Fish include the Big West, Campgrounds, Green City, and Build It series; but this one is kind of in a league of its own, and seems to have an unending list of unlock-able achievements. I was very pleasantly surprised with this game. Rated 5 out of 5 by meaniiie from I love it! good game. i play it again and again. love graphic and storyline of this game. you have to try it. Rated 5 out of 5 by sylviaLampley from "Fun Time Management Game!" Since choices are getting slim for games I like, I was happy to have found this game. Great graphics, cute storyline, and just challenging enough to make it fun. 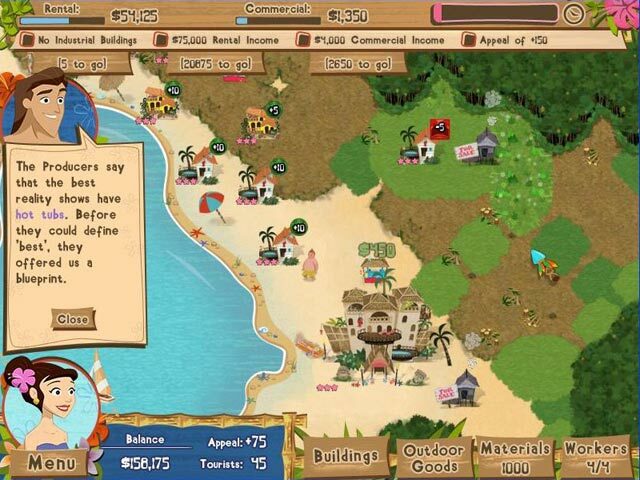 This game has several islands that open up, and plenty of plopables from inexpensive to wealthy. 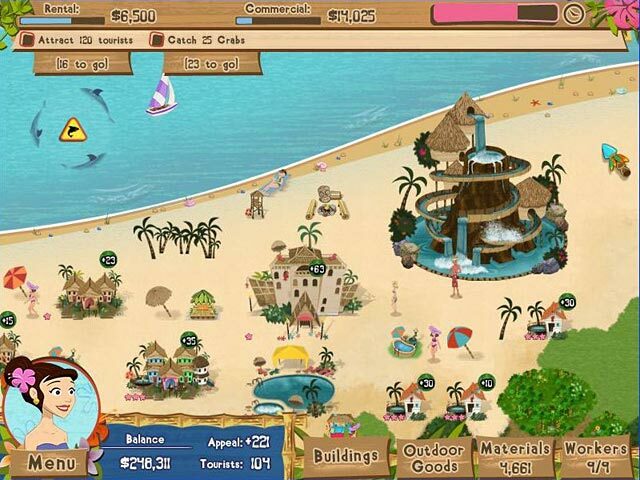 All of the islands open up to freeplay for endless fun! Rated 5 out of 5 by Pashta from You MUST Try This Game! It's hilariously fun, well - if you're female, that is. :) Hmm, maybe some males, as well hahaha It's like Warcraft but for ladies, they even make a reference to it. "More work?"... "Now that's what I'm talking about.." hahaha I LOVE IT! Rated 5 out of 5 by Alisandra46 from Fun Fun Fun! If a game can have a sense of humor, this one has it! Dialogue and character action is really cute. The island setting is relaxing. Graphics are good. But what really sets this game apart from other city-builders is the wide variety of buildings (tennis courts, pools, restaurants, etc) and the fact you can put them pretty much anywhere you want (unlike Royal Envoy, Time Builders, Build-a-Lot, and Mogul games) Challenging but not too hard. I highly recommend this game! Rated 5 out of 5 by FrancisMay from Horribly Good I hated this game the first few minutes I played it. But then I stuck with it and found myself getting addicted, but didn't want to admit it. Yes, it's probably horribly sexist towards men and bimbo-ish but hey, playing this on a Friday night after work for some fun and relaxation - it's ace!!! I think the graphics could be much better (and bigger), but the game is fun in it's simplicity and problem-solving tasks. And I love beach games, especially when it's cold outside. Don't be fooled by the apparent foolishness of this game - there is a fair amount of time management and strategy involved, and yes, you do get to use your brain. Why not! I like it. Buy it! Rated 5 out of 5 by dladymuse from Best Game! I love this game so much and like the others who have already reviewed, it is also my favorite game on Big Fish. The graphics are so cute. I love the fact that when you upgrade buildings, they actually take on a new look, not just have stars like other building TM games. The story is great, the characters are funny, the voice acting is excellent and the ambient Hawaiian music and sound effects are wonderful. 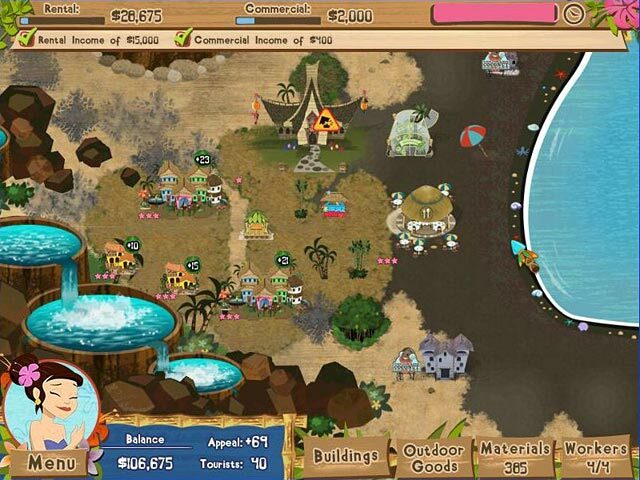 Soak up the sun while building your very own paradise empire in Coconut Queen! The island of Lui Lui beckons you!